New Jersey Solar Panel Installers Insurance. Renewable energy is becoming more accessible to businesses and homeowners. Solar panels are one of the easiest renewable designs to implement. Other than their green status, they contribute to significant monetary savings. A growing demand for solar power has made it possible for many contractors to expand their businesses or start a new one. Business owners need to remain aware of the specific dangers of any installation activity. The solar power business model opens up some new New Jersey solar panel installers insurance coverage necessities for contractor businesses to consider. New Jersey solar panel installers insurance protects your business from lawsuits with rates as low as $97/mo. Get a fast quote and your certificate of insurance now. A solar power installation business leaves NJ contractors with several different coverage aspects to consider. Equipment, transportation, and workers must be insured properly. Solar installations entail a wide range of responsibilities. Your workers need to be protected from injury costs. Equipment and function also need to be addressed by your insurance company. Solar panels in buildings can have some complications after installation. The panels and damage to the building should also be covered. Mold is often excluded from various types of insurance policies. The damages can be extensive and costly when mold is involved. Inhabitants of the affected building could also suffer physical harm, as mold can cause health issues. The same goes for New Jersey solar panel installers insurance policies. There are, however, some policies that offer optional coverage for future mold damage in NJ buildings where solar panels have been installed. Water leakage is one of the most common complications, resulting from installation mishaps. Construction lawsuits can be long and expensive. If your company offers a mold coverage option, it is best to take advantage of it. 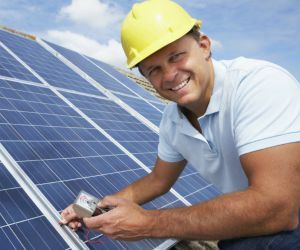 NJ solar power installers need to be properly covered, just like any other business. Their work does present the possibility of some unique issues, however. Leaks from faulty sealants can cause water damage. This can, in turn, result in mold exposure. Proper coverage covers your work, even after the job is complete. Equipment, however, is only covered until the job is complete. Equipment coverage takes care of the solar panels and supporting materials from the time they are loaded on the transport vehicle. NJ Solar power installers insurance is a lot like average business coverage, with a few tweaks and other optional features. 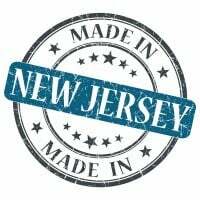 Request a free New Jersey Solar Panel Installers Insurance quote in Asbury Park, Atlantic, Bayonne, Beachwood, Bellmawr, Bergenfield, Bound Brook, Bridgeton, Camden, Carteret, Cliffside Park, Clifton, Collingswood, Dover, Dumont, East Orange, Eatontown, Edgewater, Elizabeth, Elmwood Park, Englewood, Fair Lawn, Fairview, Florham Park, Fort Lee, Franklin Lakes, Freehold, Garfield, Glassboro, Glen Rock, Gloucester, Guttenberg, Hackensack, Haddonfield, Hammonton, Harrison, Hasbrouck Heights, Hawthorne, Highland Park, Hillsdale, Hoboken, Hopatcong, Jersey, Keansburg, Kearny, Kinnelon, Lincoln Park, Linden, Lindenwold, Little Ferry, Lodi, Long Branch, Madison, Manville, Metuchen, Middlesex, Millville, Morristown, New Brunswick, New Milford, New Providence, Newark, North Arlington, North Plainfield, Oakland, Ocean, Palisades Park, Paramus, Passaic, Paterson, Perth Amboy, Phillipsburg, Pine Hill, Plainfield, Pleasantville, Point Pleasant, Pompton Lakes, Princeton, Rahway, Ramsey, Red Bank, Ridgefield Park, Ridgefield, Ridgewood, Ringwood, River Edge, Roselle Park, Roselle, Rutherford, Sayreville, Secaucus, Somers Point, Somerville, South Plainfield, South River, Summit, Tenafly, Tinton Falls, Totowa, Trenton, Union, Ventnor, Vineland, Wallington, Wanaque, West New York, Westfield, Westwood, Woodbury, Woodland Park and all other cities in NJ - The Garden State.